Labourers Ground Staff/ MR truck driver wanted. Sydney northern beaches. 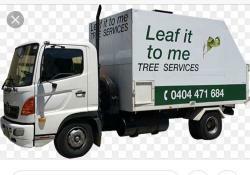 Leaf it to me tree services. All aspects ground work in the tree service industry; processing and moving debris; chainsaw operation; wood chipper operation; rigging, lowering and rope work. Arboriculture certification and MR truck licence. Day rate/Hourly rate relative to qualifications/experience.